was installed at ZaneBennett Gallery as part of Cutting Edge in 2009. 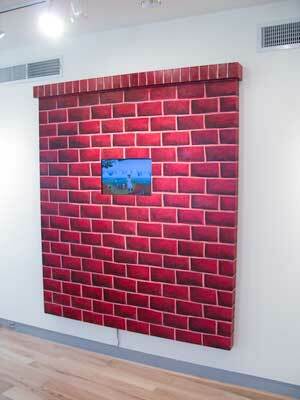 The installation consisted of a constructed and painted "brick" wall, a key image in the movie. The movie played on a large LCD screen built into the wall.